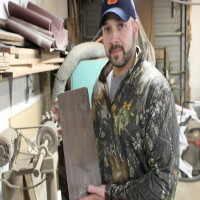 “It was in Connecticut where I grew up that my love of wildlife and hunting really developed. It was snapping turtles, leopard frogs and garter snakes that instilled my passion for exploration and biology; I couldn’t get enough books about them or all the other animals of the world, however, it was my father’s stories of hunting northern Maine and his collection of Jack O’Connor books that inspired me most. Those stories of mountain hunts, grizzly bears, pack trains, hunters taping out their dall sheep horns by lantern; it was all I ever wanted to do. During college, I continued to follow my passion and studied Wildlife Biology where I received an opportunity to study Bengal tigers in both Bangladesh and Nepal. I found the travel, the element of danger and the exposure to new cultures and wildlife intoxicating. I then went on to work for the U.S. Fish and Wildlife Service in Alaska collecting genetic and age class samples of Pacific salmon. I spent long summers living in a 1 person-backpacking tent through all the Alaska weather and wildlife; I lived for it! These adventures inspired me as a hunter and fisherman to explore the world. Fred Eichler is a man of personal achievement. 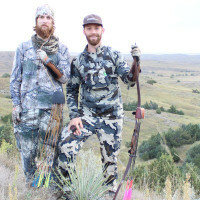 His passion for bowhunting has taken him all over the world in pursuit of his next adventure. Fred truly believes that any animal with a bow is a trophy. His personal quest to complete the North American Super Slam with a recurve bow reflects that state of mind. In mid August of 2009 Fred harvested a cow Tule Elk to become the first to take all 29 North American big game animals with a recurve bow and complete the Super Slam. 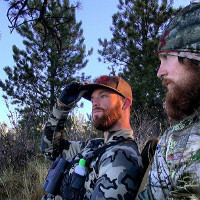 Fred has been fortunate enough to share his love and enthusiasm of the sport with fellow bowhunters across the country through his television shows and personal appearances. If you ever run across Fred in the woods or at your local bow shop you’ll be greeted with a big smile and friendly handshake. Bowhunting is more than a passion for him, it’s a way of life. 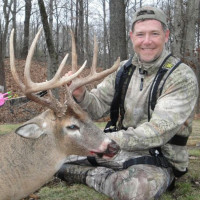 In this episode we talk a little bit about QDMA with Mike Groman, a level 2 deer steward. New to stick bows with Ryan Sanpei!